Romantic Rose is just that - a romantic quilt topper made for a soft, candle lit table set for two! Very simple strip sets become beautiful patch blocks - surround each block with a contrasting print to show the real romance and you are all set. Easy 44" square topper made in a flash. Included in the pattern are the instructions for a larger quilt of the same construction in eye-popping colors. 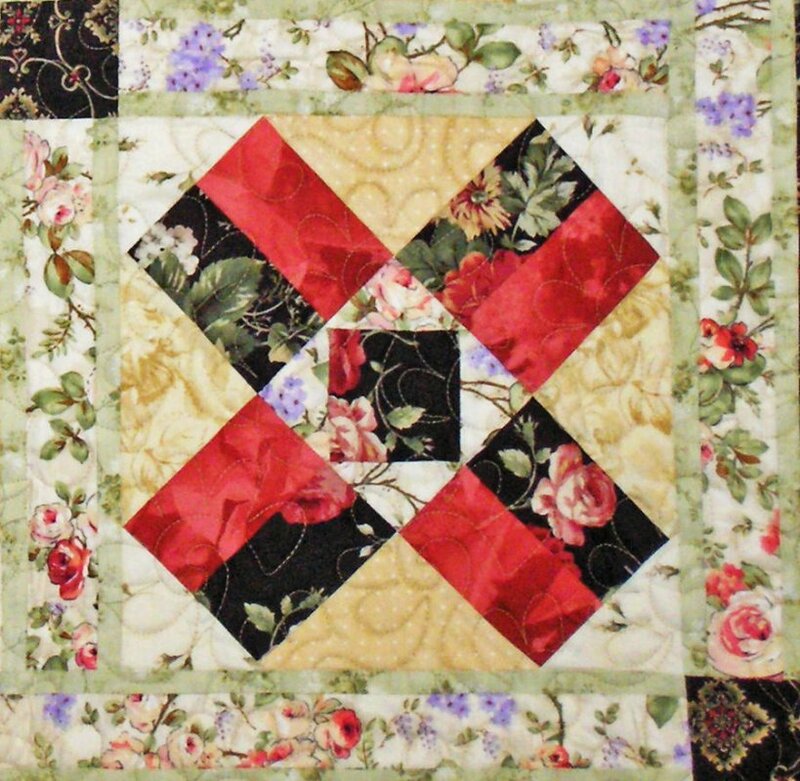 A quilt and topper just right for you!